The touchscreen controls of a smartphone offer a unique opportunity for puzzle games, and arguably they're best suited for our pocket devices because they can be easy to pick up and play when you have a few free moments. There are constantly new puzzle games available on App Store that can satisfy your taste for puzzles and numbers. Choosing the best one for your iPhone it can be difficult. 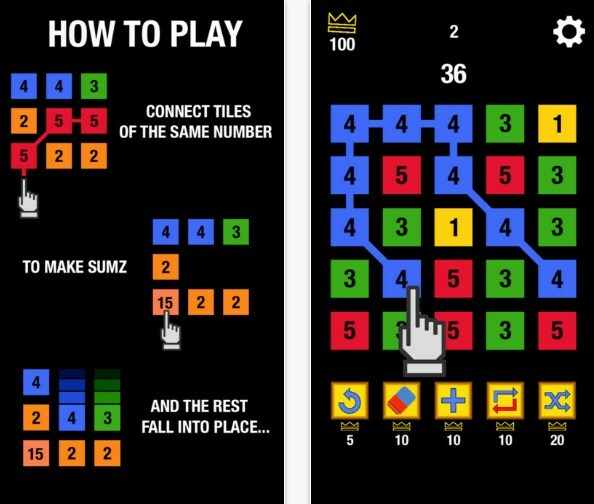 So, we did our research and we discovered one interesting and addicting puzzler for you – sumZ+. Let’s discuss what this game is all about. The game is puzzle game developed for all IOS users that like playing puzzle games on their phones, challenge their logical and brain skills. Easy for playing and suitable for all people that like puzzles and numbers, the game gives the users simple and yet challenging gameplay that will keep them entertained always. Playing this game, the users get high-quality simple design and fun sounds in the background, getting a great puzzle experience. The users need to connect tiles of numbers and create sums of those numbers for better scores. 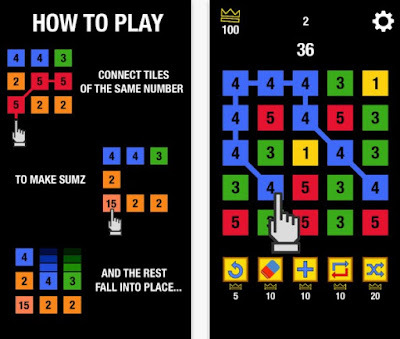 The sumZ+ is a satisfying and interesting puzzle for all IOS users that like gaming on their phones constantly. This on-to-go game offers its users to push their logical thinking and have fun while they connect tiles of numbers in any direction they like, creating sums of the numbers and getting great scores for it. When on tile is created by the users, the other numbers will fall into place for creating more sums. More connected tiles, more scores for the user. Also, if the user can get higher numbers connected, he will last more in the game. This game offers only limited moves for creating sums, so when the user runs out of moves, the game will end. But it is easy and simple to start playing again. Download the game on App Store now for free.